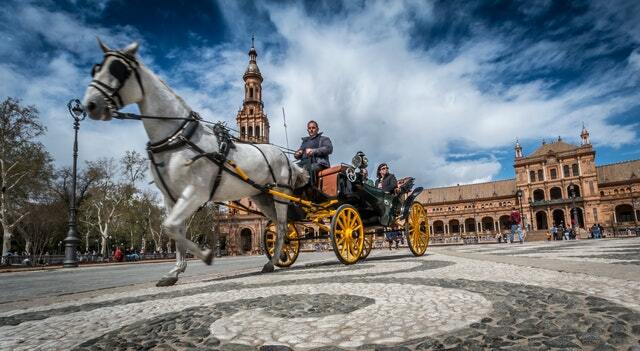 Spain – one of the shining cultural jewels of Europe. Spain is often and quite rightly regarded as a societal powerhouse, a passionate and loving country which knows how to celebrate as well as any other culture on the continent, if not, better. Spanish festivals and attitudes permeate the modern world. A friend in a Spaniard is usually a friend for life. Not only this, but there are so many beautiful locations in Spain of historical and cultural significance than the country absolutely demands repeat visits. In the tumultuous European landscape, it can feel as though some countries of the EU aren’t celebrated enough. For this reason, we’d like to explore the top 3 benefits of Spanish culture, and how it managed to inform and permeate the attitudes, we are grateful for. The Spanish are known for their excess passion, and this is not a negative in any way. Life is imbued with this attitude. Even the most upright accountant with little tolerance for celebration will be hard pressed to resist tapping their feet when viewing flamenco. Fiery Spanish flames have imbued the continent of Europe the world, letting us know that celebrating for celebration’s sake is arguably the least frivolous thing you could do, despite how it could look on the surface. The Spanish have no shame in enjoying life, and visiting the country all the way from the Costa Del Sol to Valencia will only service to reinforce this belief. Although the English invented football, the Spanish arguably perfected it. From Real Madrid to FC Barcelona, the teams are known worldwide, and the shirts of its constituent players are worn on the backs of children, adults and the elderly alike all over the world. If you’re a football fan, taking the time to visit one of these prestigious stadiums is likely on your bucket list, and doing so can help you understand the state of incredible sportsmanship of world-class football. Not only that, but football is so popular within the culture that getting into a game anywhere you are for recreation and leisure is as easy as getting a sun tan. Relaxing is often taboo in many western cultures. In order to stay efficient and productive, we are often told that we need to keep working overtime and continually infringe upon our free time to chase the ever-ethereal dream of success. For the most part, while Spain is a nation of dreamers and hopers as anywhere else, they aren’t afraid to relax and understand how well this can benefit their society. Siestas, arguably one of the greatest inventions of humankind, exist to help us understand the need for resting so we can come back to our roles with added vibrancy, rejuvenation, and boost ability. If you can do so, implementing siestas in your schedule can mean all the difference for your positive daily energy levels. Spain is a beautiful country, with even more beautiful people. If you haven’t experienced it yet, you absolutely should as soon as you can. « 2017.09 Summer Time Fine in TOBI Online Fashion’s Best Sellers!